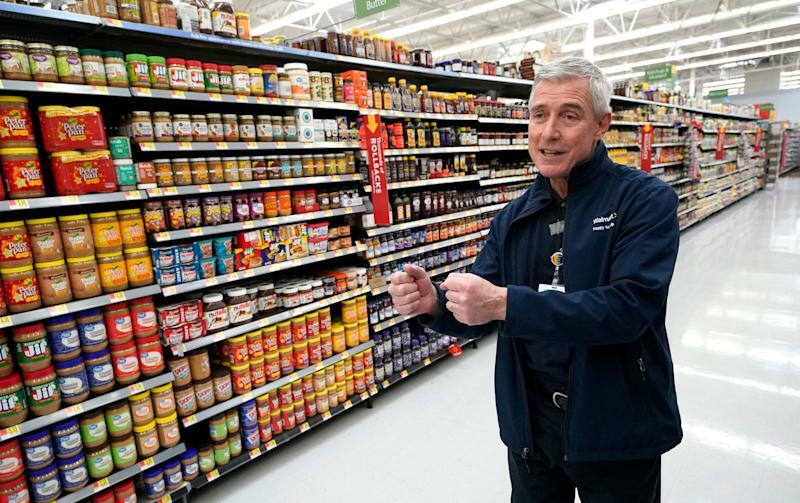 Walmart happens to have 4,700-plus strategically placed U.S. stores but the Bentonville Bruiser largely views itself as a tech company entering 2019. The world’s largest retailer has a lot on its plate when it comes to tech this year, Walmart Chief Technology Officer Jeremy King tells Yahoo Finance. Some of the projects sound more out of a scene from “The Jetsons” than cooked up from Walmart’s hometown of Bentonville, Ark. But taken together, they are likely to save Walmart a good bit of money and improve the shopping experience as it challenges a mostly store-less Amazon. King tells Yahoo Finance Walmart is testing a robot that could pack a tractor trailer with merchandise (and unpack it, of course). The effort should drive more efficiencies for Walmart in the supply chain, which is important as the company seeks to speed up delivery times. Meanwhile, the company is moving forward with pilots of autonomous vehicles and the delivery of merchandise. In July last year, Walmart inked a deal with Alphabet’s Waymo to test shoppers picking up their groceries using autonomous cars in Phoenix. And in November, Walmart teamed up with Ford and Postmates to test delivery via autonomous cars in Miami. Walmart digital brands senior vice president and Bonobos co-founder Andy Dunn tells Yahoo Finance he is on the prowl for more acquisitions. Dunn sold Bonobos to Walmart for a reported $310 million in 2017 and currently oversees a portfolio of other digitally led brands such as Modcloth, Allswell, and Eloquii. More unique brands online should help Walmart differentiate itself, Dunn explains. And rest easy Walmart bulls — we didn’t get the sense from Dunn that his entrepreneurial self and Jet.com founder Marc Lore (who oversees Walmart digital) are leaving anytime soon. Walmart is doing a lot of things right, IBM Global Managing Director of Consumer Industries Luq Niazi told Yahoo Finance at the National Retail Federation conference in New York City. Others Yahoo Finance talked with at the conference agreed Walmart is headed down the right path on tech. Amazon’s lack of physical store presence is being seen as a new weakness for the digital beast. The likes of Walmart, Target and countless others in retail have turned their vast store networks into real-time distribution centers from which to deliver merchandise. Physical stores, which were once seen as a weakness, are now being viewed as a must-have in the era of on-demand shopping. Walmart’s digital efforts paid off for most of 2018. The company’s U.S. e-commerce sales surged 43% in the third quarter. Walmart said in November its U.S. online business was tracking at 40% sales growth for the year, spurred in part by online grocery ordering and more items for sale. The company will announce fourth quarter results in February.